The greeting that came back was both low and high-pitched, saying “Croak“. 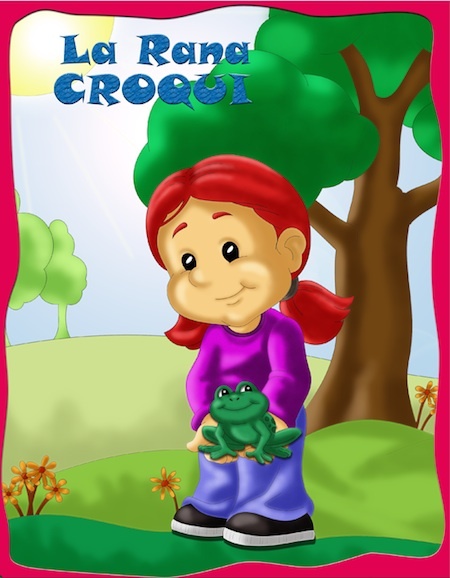 A large smile appeared on Helen’s striking face and from that moment, she and the sweet little frog to whom she baptized “Croaky”, became inseparable friends. After a long time of friendship and sharing the little frog became ill. Helen was worried but nobody paid attention to a girl´s caprice especially when it was just a sick frog. They could not understand what Croaky meant to Helen. So, the girl waited for a miracle, and prayed the whole day and night crossing her hands over her chest. Moral of the Short Story: Wishes can come true if we wish for them from the bottom of our hearts. Values of the Short Story: friendship, Love, faith.